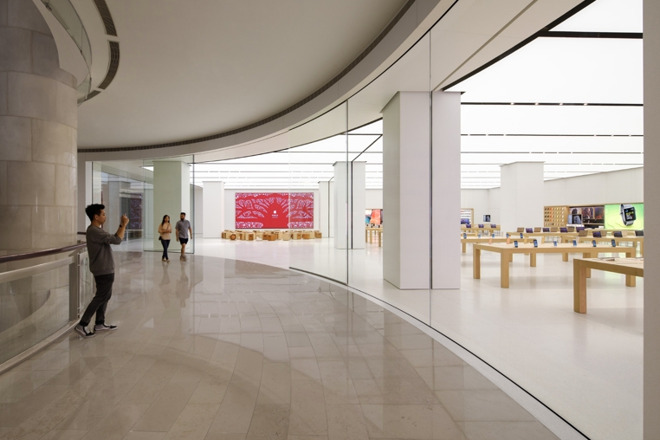 Apple's Taipei 101 store is considered part of China on its website, but not in Apple Maps. Of the world's 500 biggest corporations, 66 are mislabeling Taiwan, 53 are mislabeling Hong Kong, and 45 are guilty of both, the Chinese Academy of Social Sciences said in a report seen by Reuters. The study, still not public, was done in conjunction with the Internet Development Research Institution at Peking University. China has been intensifying pressure on foreign companies since last year, hoping to get them to legitimize its view of the above territories. Once controlled as a British colony, Hong Kong was returned to China in 1997 but still exists as a semi-autonomous region. Apple and others often treat it as distinct from China, mostly since it has its own currency and a unique market, and most of its residents speak Cantonese instead of Mandarin. More contentious is Taiwan. Though it has existed as an independent entity for decades, the Chinese government considers it a rogue province and has threatened military force if it formally declares independence. China also refuses diplomatic relations with countries that recognize the Taiwanese republic, though in practice most of the world's biggest powers have informal relations, including the U.S. — whose military commitments have kept China at bay. Apple maintains separate websites for both Hong Kong and Taiwan. It does make references to Taiwan as being part of China on the Web, but at least in the U.S. version of Apple Maps the country's capital, Taipei, is marked as independent. The company has often tread a thin line between appeasing China versus recognizing reality and living up to its stated principles. Critics have accused Apple of being too quick to bend to government demands, and turning a blind eye to human rights abuses despite claiming to champion them elsewhere. This is presumably because of the size of the Chinese market, even with increasingly disappointing iPhone sales contributing to a $5 billion shortfall in December-quarter revenue.